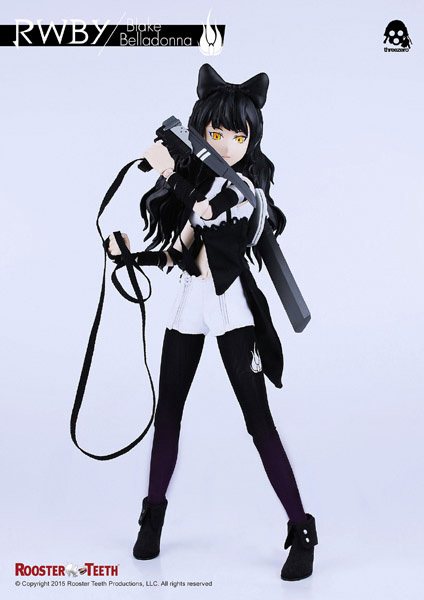 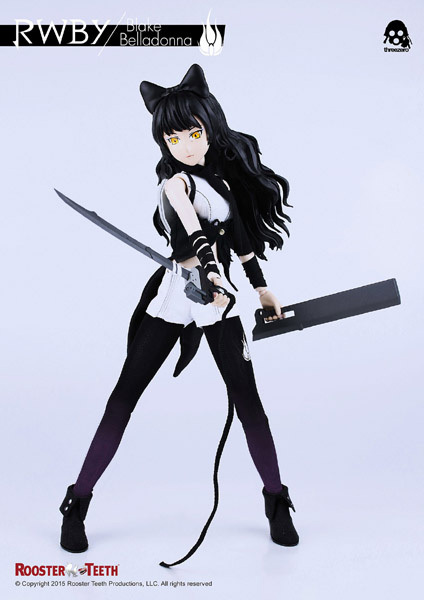 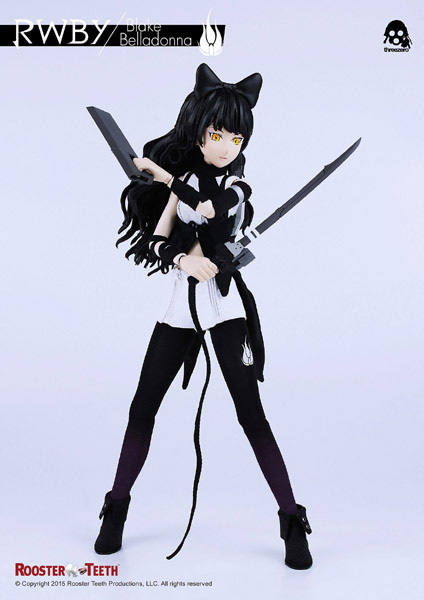 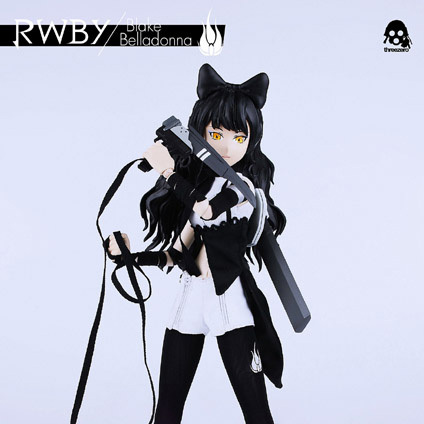 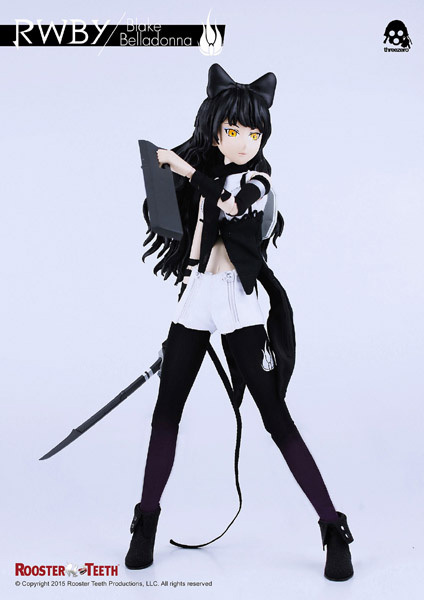 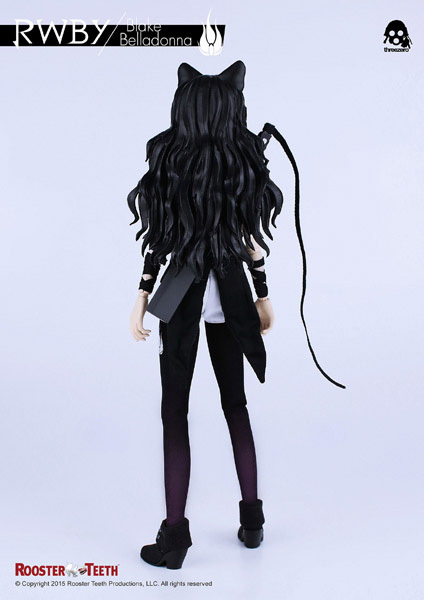 The 1/6th scale RWBY: Blake Belladonna collectible figure will be available for pre-order at www.threezerostore.com starting from October 19th 9:00AM Hong Kong time for 150USD / 1170HKD with International Shipping included in the price. 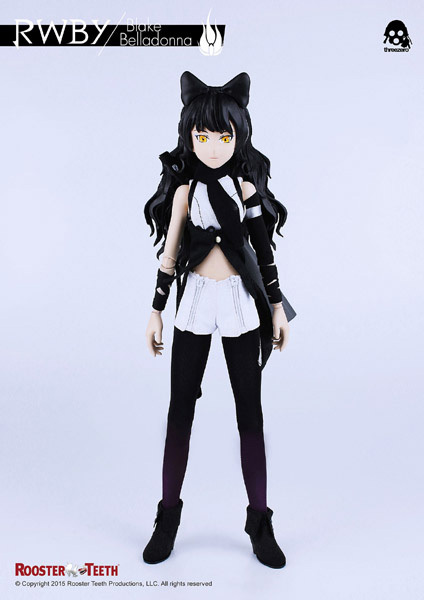 Blake Belladonna is one of the main characters and the third character introduced in RWBY. 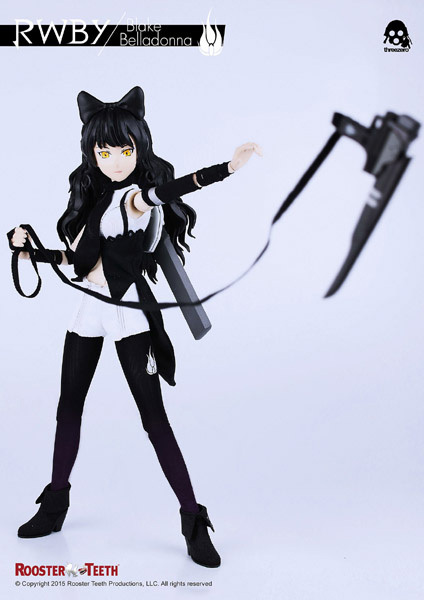 Her weapon of choice is a Variant Ballistic Chain Scythe (VBCS) dubbed Gambol Shroud. 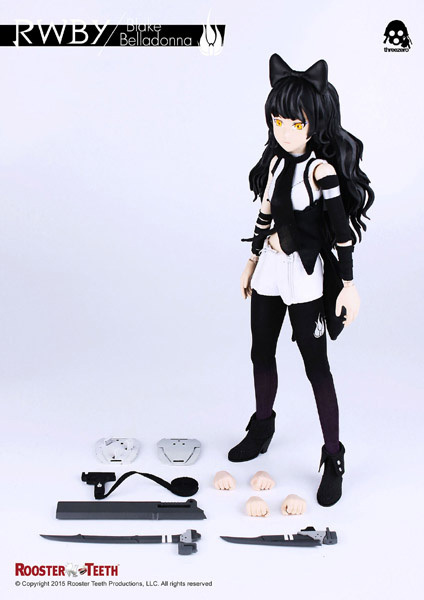 * 3 pairs of interchangeable hands: relaxed hands, closed fists and weapon holding hands.